NAVIGATOR™ SC is an effective pre- and post-construction termite control product for professionals. With Exterior Perimeter/Localized Interior (EP/LI) applications, NAVIGATOR SC kills listed pests and protects the home against future infestations. NAVIGATOR SC protects against more than termites, providing homeowners the peace of mind that other perimeter pests and invaders, like ants, will be taken care of quickly. After termites pass through the treatment area, they transfer the non-repellent, active ingredient, fipronil, back to the nest. The product quickly spreads, resulting in accelerated colony destabilization. The quick action formulation of NAVIGATOR SC makes it an ideal tool for pest management professionals. Termiticide/Insecticide must only be applied by licensed technicians familiar with trenching, rodding, short rodding, sub-slab injection, low-pressure banded surface applications, and foam delivery techniques. 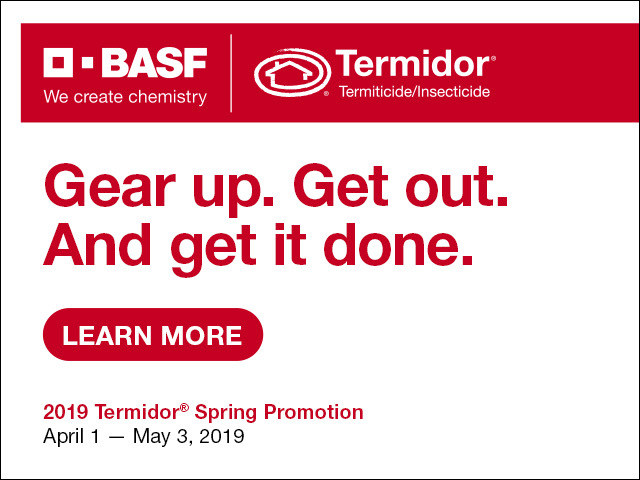 This product is a highly effective termiticide against listed pests including species of Reticulitermes, Zootermopsis, Heterotermes, and Coptotermes.